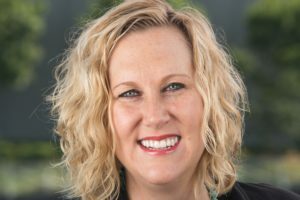 Visit Seattle announced the promotion of Kelly Saling to vice president, convention sales and services, a position that will include significant additional responsibilities. In this expanded role, Saling will now lead Visit Seattle’s Convention Services team, in addition to continued leadership of Convention Sales efforts. Saling’s efforts have included the redeployment of Visit Seattle’s sales team to better address Seattle’s hotel supply growth and the need for additional hotel-direct business development. In this new role, Saling will continue to lead both citywide and short-term business development strategies for the Washington State Convention Center (WSCC). In August 2018, the WSCC also broke ground on an exciting additional facility, the Summit, which will be open for business in 2022. Saling he Visit Seattle Convention Sales team in 2009 and has worked selling a variety of market segments. She was promoted to Director of Sales in 2014 and most recently to VP, Convention Sales in 2017. Previously, Kelly worked in Seattle for Columbia Hospitality, a management company, selling a variety of hotel and venue properties. Saling is a graduate of the University of Colorado with a Bachelor of Arts in Communication, Spanish Literature and Business Administration. She lives in Seattle with her husband and young son. Photo by Jean Marcus Strole Photography.